Lego, Amazon: big companies keep integrating AR in their apps and products. This week, we have a lot of cool and inspiring demos! At WWDC ’18, Apple showed an upcoming LEGO AR app that allows your LEGOs to animate and interact with each other. Looks like the app is already available for Android! Amazon updated the camera search on its iOS app with a new “Part Finder,” which lets you search for specific nuts and bolts that you might need more of, but need help identifying. If Amazon’s AR tech can figure out what it is, the app will help you easily buy more of the random screw you’re searching for. Using motion blur, adaptive lighting, and depth of field, Morten Just (@mortenjust) published a beautiful example of the integration of ARKit in your kitchen, check out all the timers! Julia Sourikoff @cabbibo shows up an example of a animated character walking when a card is moving. It uses Mixamo technology for 3D animations. Is it an upcoming interesting way of creating a cartoon? There are definitely possibilities in this field. I also noticed that she has a beautiful website with her projects, worth checking out as well -> here. Sai Kambampati (@Sai_K1065) has done again another great tutorial, usually he writes amazing Core ML ones, but this time he made one about AR Quick Look! As always very complete and interesting, thanks Sai for helping the community! 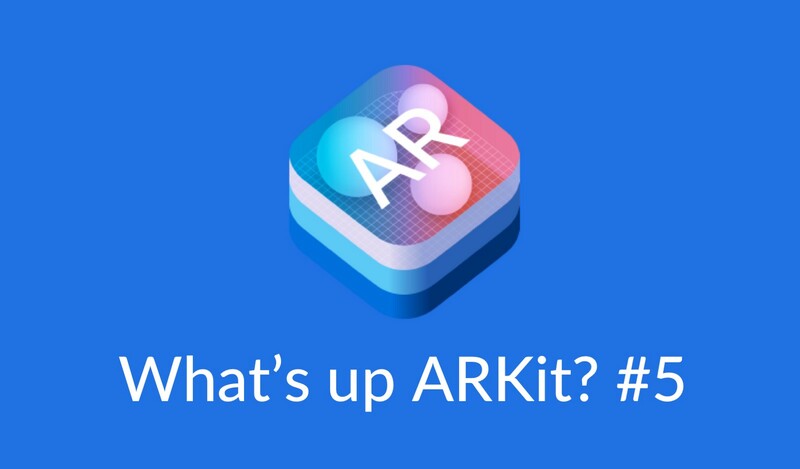 In case there are some ARKit devs here using React Native, here is an introduction to it by Evan Bacon @Baconbrix. If you want to get into shared experiences, I invite you to check out this cool work with the Medium post that goes with it -> post. Source code is right here. If you own an Apple Watch you can now see your heart beating on your iPhone, isn’t it crazy? Using Core ML, the device is capable of understand when the hand is close or open, it creates the “force” and then the user can move around a stormtrooper thanks to his hand using the “force”.